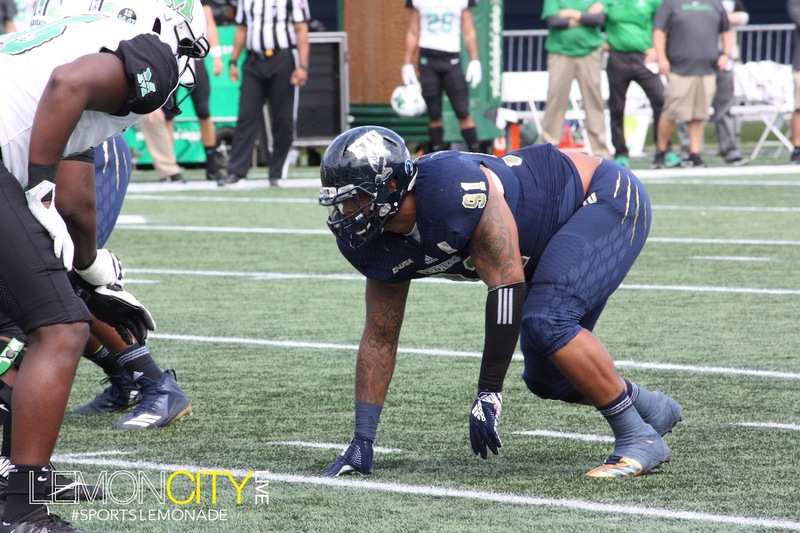 Miami, FL – FIU’s historic run came heartbreakingly short, losing 28-25 to the Marshall Thundering Herd Saturday afternoon at Riccardo Silva Stadium. 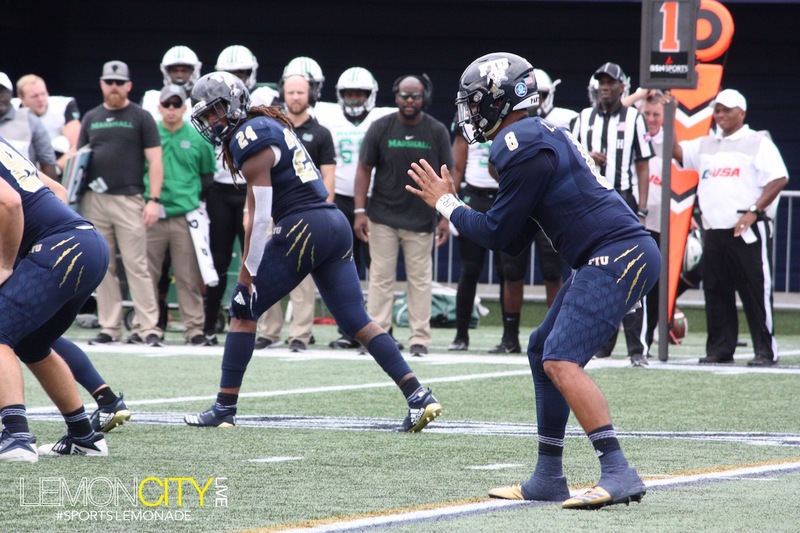 Heading into the season finale, the Panthers were one win away from not only claiming the East Division but punching a ticket for the C-USA Conference Championship for the first time ever. Struggles on special teams along with a rocky first quarter hurt the team in the end. “We have a quotation in football: It only catches up with you when it catches up with you,” coach Butch Davis said. It’s a phrase worth remembering ahead of their pending bowl game. The Panthers stumbled out of the gates, struggling on their first three drives. The first go started off promising but fizzled out once they crossed into Herd territory. 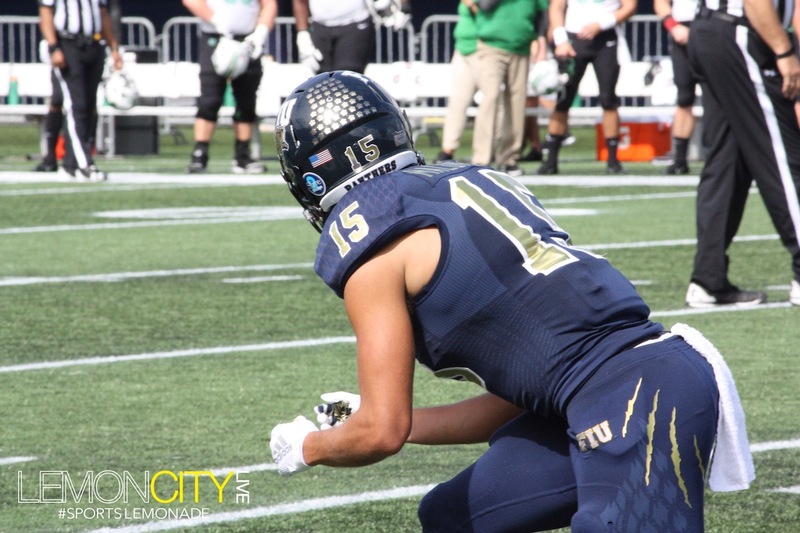 The second drive was a three and out, with the third ending in a pick-6, helping the Thundering Herd roll to an early 14-0 lead. The Panthers finally got on the board late in the first. Following a nice 37-yard-run by Napoleon Maxwell, the drive wilted in the red zone after quarterback James Morgan missed a wide open D’Vonte Price in the end zone, his intended receiver was Darius Philon. 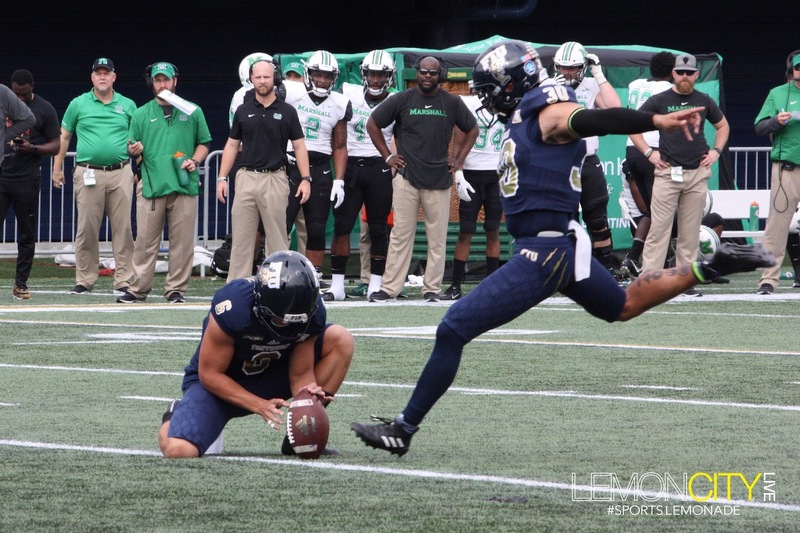 The blue and gold settled for a 22-yard field goal by Jose “Fifa” Borregales. He struggled later on with a missed kick and another getting blocked. Early in the second quarter, Napoleon Maxwell led the offense with 39 combined yards (10 in the air) on the ensuing drive to get the ball to the one-yard line with 12:35 left in the half. Despite getting stuffed on the first and goal, Anthony Jones finished the job, rushing in to make it 14-10. 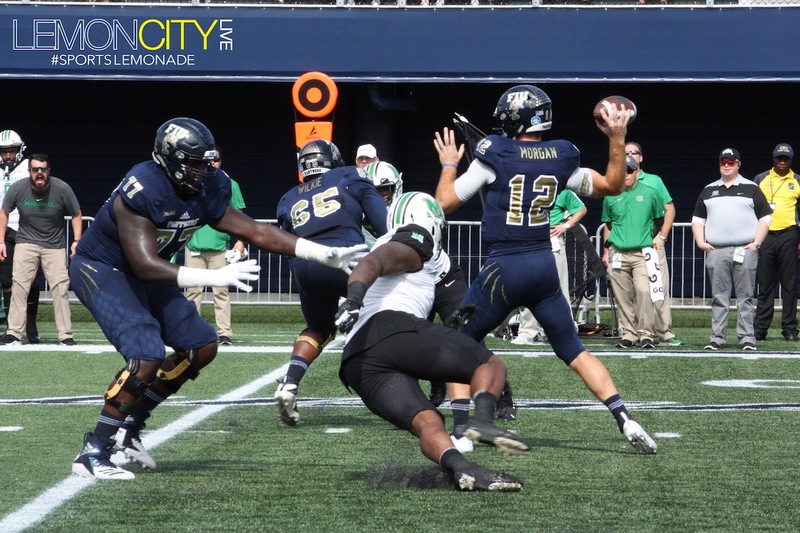 FIU’s vaunted defense flexed its muscle late in the half after the Thundering Herd got as close as the FIU 2 yard line. Unwilling to let Marshall go any further, the Panthers put up the fences and checked the Herd’s advance, shutting down the rush. They even pushed them back six yards. 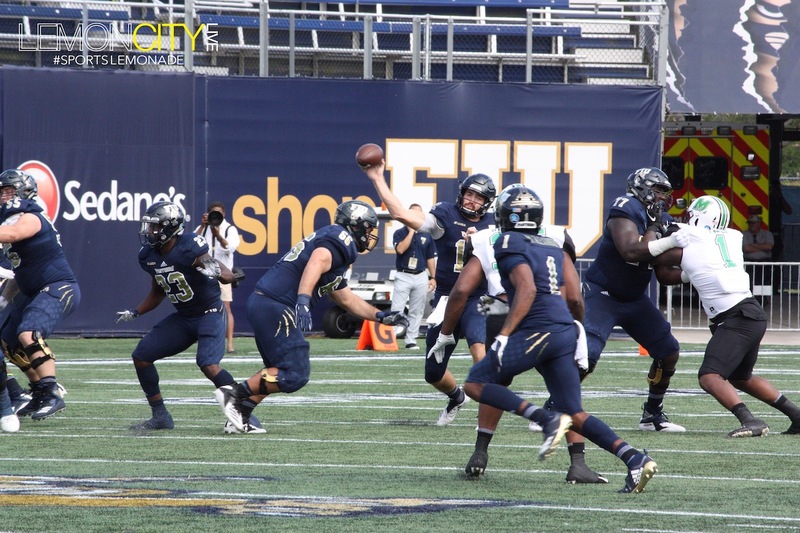 Florida International stayed within four after the botched 25-yard field goal. Speaking of botched field goals, just before the half the Panthers had a chance to come to within one but Fifa was unable to golden boot the ball between the goalposts, missing the 28-yard chip shot. His woes would continue in the third with a 43-yard kick getting blocked. He wouldn’t be the only one. 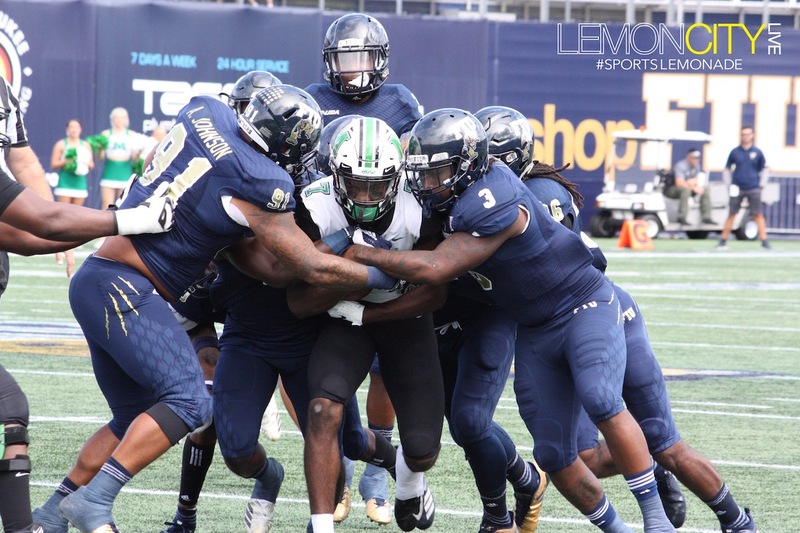 Late in the third, Marshall’s defense swarmed in on a 4th and four, not only blocking the punter Stone Wilson but claiming the ball inside the end zone for 21-10 lead. Ouch! 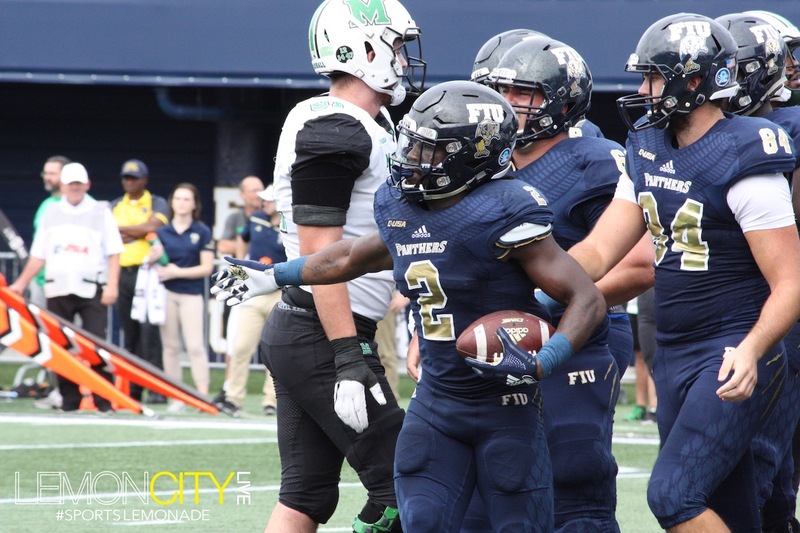 It could’ve been the potential dagger but FIU immediately responded with an 8-yard rushing touchdown by redshirt junior Christian Alexander who was temporarily filling in for an injured Morgan. And they weren’t done yet. In a nifty trick play, (Maurice) Alexander connected with (Christian) Alexander for the two-point conversion to put the home team to within three. The two adversaries continued to trade blows. The Panthers refused to go away quietly, keeping it real close. 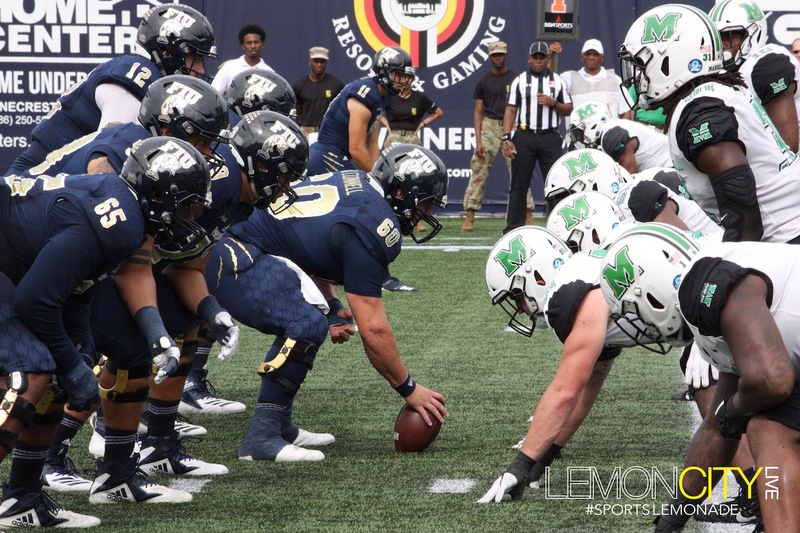 Down by 10, Morgan had reentered the fray, making a 38-yard pass with CJ Worton to bring the pigskin to Marshall’s 3, ultimately setting up Maxwell to carry it in for the score, his first and only of the day to keep FIU to within striking distance 28-25. The Defense was unable to make key stops on the final drive resulting in Marshall just running out the clock to end the game. 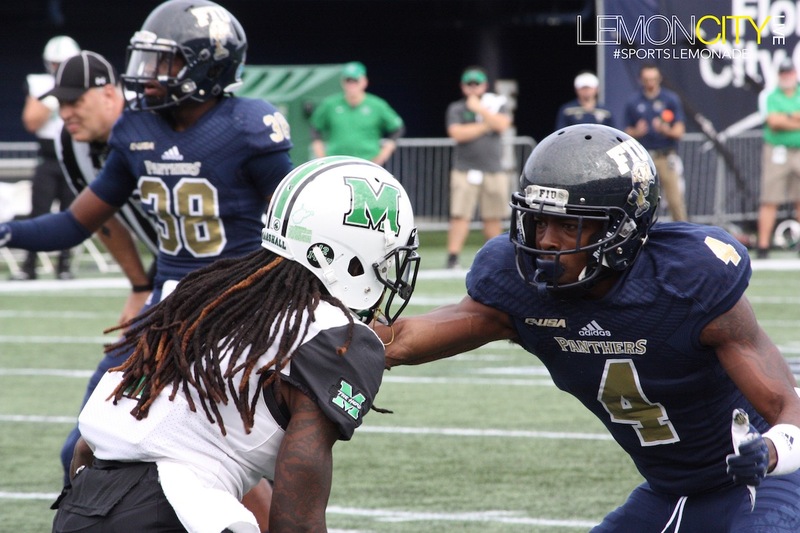 If Middle Tennessee loses to UAB, the Panther’s conference championship hopes become a reality. If not, there’s always the bowl game. “Fortunately, this doesn’t have to be the end of the season, we can still get our ninth victory,” Davis remarked. Despite the loss and no matter how the season ends, Davis remained hopeful on the program’s future. Napoleon Maxwell finished the day with 96 rushing yards and a touchdown. James Morgan completed 21 of 33 passes for 177 yards and two interceptions. 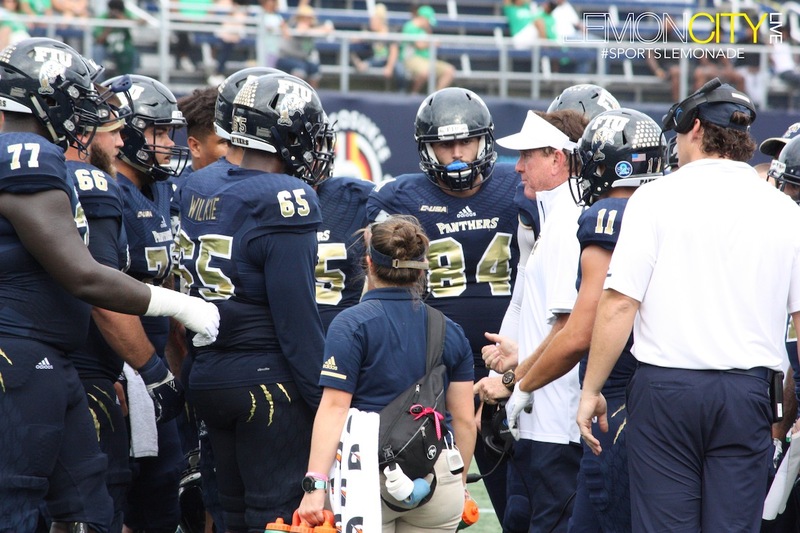 FIU put up 391 total yards including 190 yards on the ground. The Panthers were 4 of 5 in the red zone. 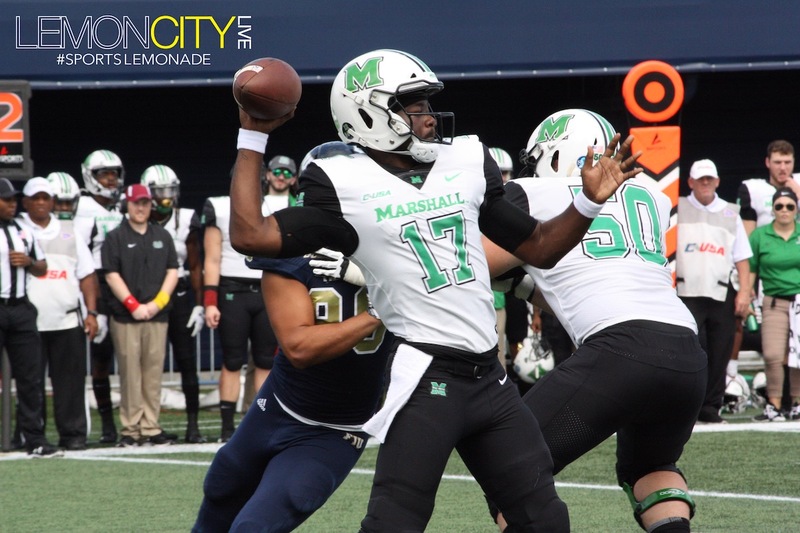 In spite of this, the team suffered from a final tally of two picks (One of them returned for a touchdown), two fumbles, a blocked field goal, a missed field goal and a blocked punt resulting in another score for Marshall. So close yet so far.